Congratulations! You are expecting a little bundle of joy. Whether you are welcoming your first baby or your last, this is a remarkable time in your life. I love photographing expectant moms, and I believe that a woman is most beautiful when she has life growing inside of her. I urge you to celebrate this fleeting moment in your life with custom professional portraits. You will never look - and never be - the same person ever again. Classic maternity photography makes the perfect keepsake for any expectant mom. Our journey together begins with a pre-session consultation. I take the time to get to know you, your pregnancy, your family, and how you want to be photographed. This way, I can plan the perfect maternity portrait session for you and ensure that we have a fun and relaxed experience together. My goal is to create timeless maternity photos that you will treasure long after the baby has arrived. Contact me to start planning your dream session. I recommend to book your session as early into your pregnancy as possible. I book according to your due date, and I only take a limited number of due dates per month. Most expecting moms book their maternity and newborn sessions during their second trimester. This allows us plenty of time for the pre-session consultation and planning of your session. We can schedule the exact date for your session as the time gets closer. When is a good time to take maternity pictures? Maternity Photography can be done anytime from about the 25th week of pregnancy until the 35th week, depending on how the mom-to-be is feeling and how the pregnancy is going. 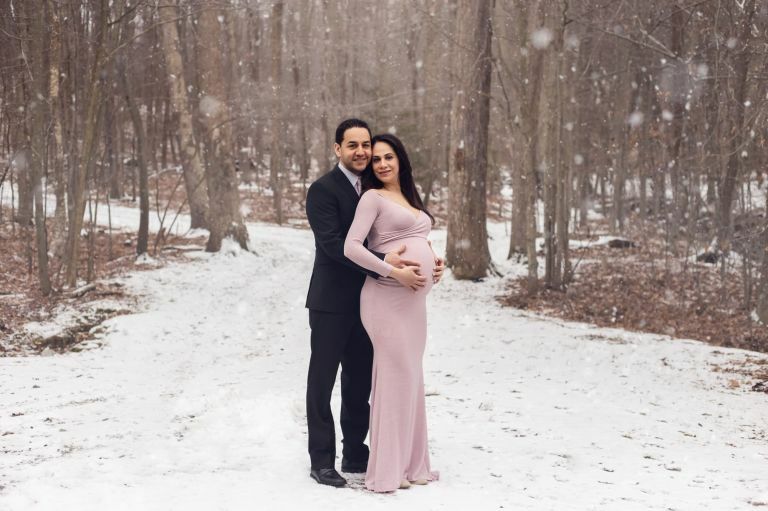 Mamas pregnant with their second or later child will find that they start to show sooner, so might want to schedule their maternity session earlier than a first time mom would. This also applies to moms expecting multiples! I do recommend scheduling the session as early as possible in order to safely capture the pregnancy and enjoy the images before baby arrives. Your maternity session can take place in my portrait studio or at an outdoor location. Most expecting moms opt for an outdoor session, especially if other children are coming along. Outdoor sessions can be scheduled any time of year and take place during sunset because the light is most beautiful during this time. We will discuss the options at your pre-session consultation. 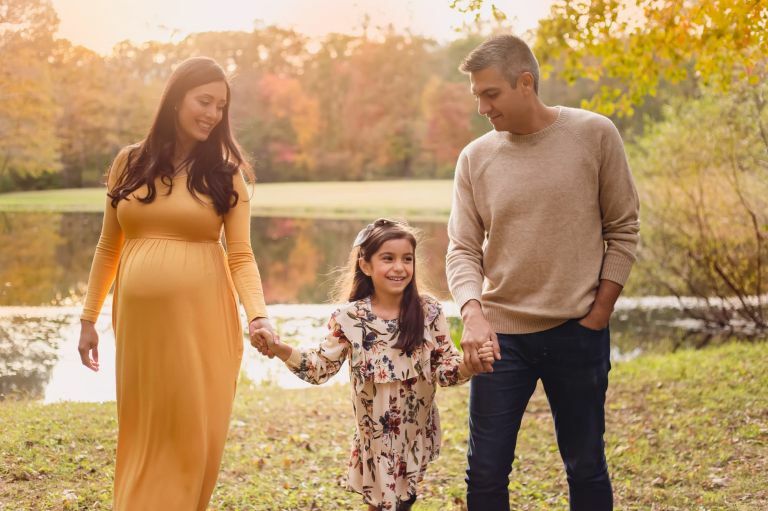 Can I include my husband and children in my maternity pictures? Absolutely! Your maternity session is essentially a family session. This is a great time to get acquainted with the entire family before we meet again for your newborn session.